It has been estimated that 75% of Americans have some sort of anxiety about visiting the dentist. Of this 75%, almost one third have such fear about visiting the dentist’s office that they would rather deal with dental issues (to the point of tooth loss) than visit the dentist. This extreme dental phobia can have dire consequences to a person’s health – both oral and overall. Gum diseases have been linked to heart, kidney, and other major lung diseases because of the ease at which infection can travel through the living tissues in the mouth to other areas in the body. At Pure Dental Health in Buckhead, we are proud to offer IV Sedation Dentistry in order to ensure that our patients receive the highest quality dental care in the most comfortable, painless environment possible. At Pure Dental Health in Atlanta, we offer a full range of sedation dentistry options to our patients who need an extra measure of anxiety relief. Nitrous oxide, oral sedative medications, and IV sedation dentistry all allow patients to feel more comfortable before and during any needed dental care. While nitrous oxide and oral sedatives are enough for many patients, for those with moderate to severe dental anxiety, a low pain tolerance, or a severe gag reflex, IV sedation dentistry allows patients to feel completely at ease regarding their dental care. Pure Dental Health is the dental practice that residents in Atlanta and Buckhead turn to for excellence in sedation dentistry. We are committed to making our patients’ dental experiences as comfortable and relaxing as possible. To learn more about IV sedation dentistry and to determine if this is the correct route for you to take in order to feel at ease at the dentist’s office, please contact Pure Dental Health today. 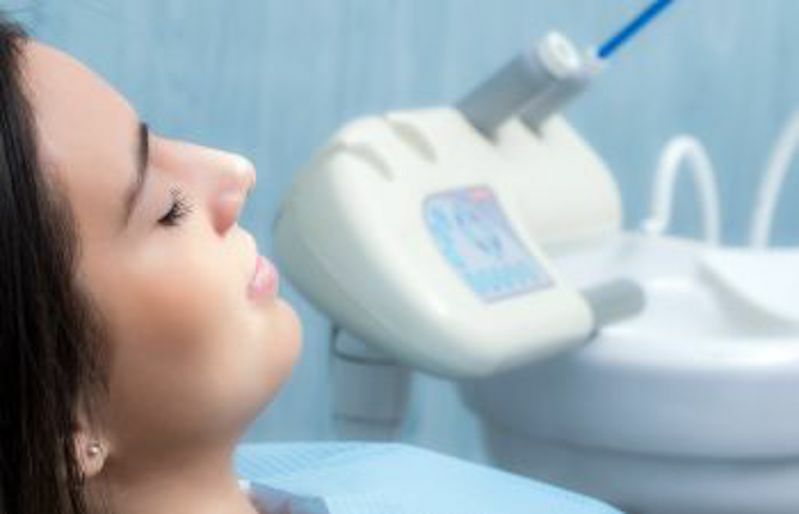 Sedation Dentistry: What Is It? Sedation Dentistry is a catch all term that can be used to describe dentistry that is performed while a patient is under some type of sedative medication or combination of medications. Nitrous Oxide is one form of Sedation Dentistry. Nitrous Oxide is a colorless, odorless gas that can be inhaled to produce a euphoric feeling and to alleviate or diminish pain. 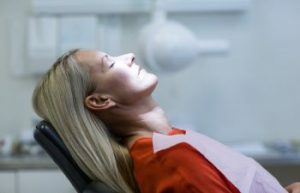 Under Nitrous Oxide, patients remain aware of their surroundings, however, the mild sedative helps to relax nerves and calm anxieties that may be associated with visiting the dentist. Oral Conscious Sedation is another form of Sedation Dentistry. In this case, sedative medications are given to patients orally prior to a dental procedure. The oral sedative medications produce a drowsy effect and make patients slightly less focused on their surroundings but will not put them to sleep. For this type of sedation, transportation must be arranged both to and from the dentist’s office. IV Sedation is another form of Sedation Dentistry that involves administering sedative medications intravenously. This type of sedation also requires that the patient has transportation both to and from the dentist’s office from another reliable adult. Sedation Dentistry is a good option for patients with dental phobias or a fear of the dentist. It can also be a good solution for patients with severe gag reflexes, difficulty getting numb and physical or developmental disabilities that make it difficult to receive dental treatment. Lastly, it can also be used for patients who simply desire a more pleasant dental experience. Sedation Dentistry has been used effectively for many years. However, it is not right for everyone. Only you and your dentist can decide whether or not Sedation Dentistry is right for you and if it is, which type best suits your needs. If you have questions about Sedation Dentistry, talk to your dentist today. 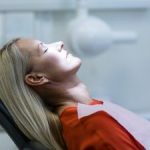 Sedation Dentistry: Is It For Me? If your fear and anxiety about going to the dentist (dental phobia) is keeping you from getting the dental treatment you need to achieve and maintain optimal oral health, you may be a good candidate for Sedation Dentistry. Sedation Dentistry involves the use of medications to help patients relax during dental procedures. It can be used for everything from invasive procedures to a simple dental cleaning. How and when it is used depends on the severity of the dental phobia. Many people use the term “Sedation Dentistry” to mean different things. Some use this term to refer to the administration of Nitrous Oxide (laughing gas). Nitrous Oxide, when inhaled, causes you to become more relaxed, yet you are still conscious. The effects of Nitrous Oxide wear off quickly and that is why this type of sedation is the only type where you can actually drive yourself home afterwards. Most of the time, when the term “Sedation Dentistry” is used, it refers to the use of oral sedative medications. These medications cause you to become drowsy and you may even fall asleep, but, you can still be wakened. With oral sedative medications, you may not even remember your dental treatment. If you are having a dental procedure that causes pain, you will also be given a local anesthetic or numbing medication that is applied at the site where the dentist is working in your mouth. Sedation Dentistry is a great option for patients with dental phobias. It may also be used for patients who have a low pain threshold, can’t sit still in the dentist’s chair, have a severe gag reflex or who have extremely sensitive teeth. It may also be a good option for patients who need to have a large amount of dental work completed at one time. If your fear of the dentists is keeping you from getting the dental treatment you need, ask your dentist today about Sedation Dentistry. Many dental practices, including Pure Dental Health in Atlanta, offer this important service for patients with dental phobias and other issues that make it difficult to receive dental treatment. It is that time of the year where you see ghosts and goblins, spiders and skeletons lurking around every corner. Halloween is upon us bringing many reasons to get spooked. However, visiting the dentist should not be one of those reasons. Dental phobias are real, but visiting the dentist can actually be a comfortable and pleasant experience, if you choose the right dentist and the right dental practice. First and foremost, you need to find a dentist and a dental practice that understands dental phobia and provides an environment that is both compassionate and supportive. Secondly, it is important to find a dentist who will take the time to get to know you and to listen to your dental needs and goals as well as your concerns about receiving dental treatment. Many progressive dental practices, including Pure Dental Health in Atlanta, now offer Sedation Dentistry. For many patients, this can be life-changing. Sedation Dentistry refers to the administration of medications to relax and calm or “sedate” patients during dental procedures. It requires special training on the part of the dentist and can be used for patients with dental phobias, fear of needles, sensitive teeth, severe gag reflexes or any other issues that make it difficult to receive dental care. These medications put you in a state of semi-consciousness where you can still breath on your own and respond to simple commands, but you are very relaxed. After the medications wear off, you may not even remember the whole experience. If you have put off needed dental care in the past due to fear, today is a new day! Call and schedule an appointment with Pure Dental Health or a Sedation Dentist in your local area. Putting off needed dental treatment will only lead to more serious oral health issues and can even lead to tooth loss. With Sedation Dentistry, there is nothing to fear. As far as the Halloween goblins and ghouls…can’t help you with that one! Does the idea of a visit to the dentist make your palms start sweating and your heart start racing? If so, you may be experiencing dental phobia; a common problem that is shared by many people all over the world. For some, dental phobia can be so extreme as to prevent those who suffer from it from seeking needed dental care. This only leads to more serious dental issues and increases the need for dental treatment. If this describes you, it is time to conquer you dental phobia! The first step is to establish a rapport with a dentist. Finding a compassionate dentist who understands dental phobia and provides a caring and empathic environment is a key step in conquering your fears. Being able to communicate with your dentist about your fears is also key. Dr. Justin Scott of Pure Dental Health understands dental phobia. He and his dedicated staff work hard to make patients who fear the dentist feel comfortable and understood. Our practice offers patient amenities including valet parking, HDTVs, heated towels, free Wifi, an Internet Bar and a beverage bar to enhance the patient experience. In addition, we offer Sedation Dentistry in the form of Nitrous Oxide “laughing gas” as well as oral sedative medications. By offering Sedation Dentistry, we are able to keep patients with dental phobias relaxed, comfortable and free of pain while receiving needed dental care. We are all given one set of adult teeth to last us for a lifetime. Don’t let a dental phobia risk your long-term oral health. Call Pure Dental Health and schedule a consultation with Dr. Justin Scott today. You have never had good experiences with the dentist. You always feel nervous, your palms always start sweating, and you start imaging the dentist’s tools. In short, you are terrified. That is where Pure Dental Health steps in to make your trips to the dentist more enjoyable. By offering the latest dental technology, the best services, and dentists who care about your well being and comfort, you are sure to have a more pleasant office visit. In this blog, we will discuss sedation dentistry, which allows you to sleep while your smile care is maintained. Learn more about how sedation dentistry can help your dental fear—keep reading! Dental fear affects countless Americans, but few realize the toll that avoiding the dentist can take on overall health. Periodontal disease, tooth loss, and gingivitis are just a few of the issues that can affect your oral and general health. But if you are afraid of the dentist, what are you to do to avoid these health complications? Sedation dentistry allows for dentists to perform check ups, enhance teeth with cosmetic dentistry, and help keep your mouth healthy all while you comfortably rest. Oral sedation allows for patients to take a pill before an appointment to relax during a visit. It is a simple way to alleviate fear of the dentist, and to give patients the dental care that they need. Our offices are clean, state-of-the-art, and have the best dentists dedicated to patient care. To experience the way that the dentist should be, look no further than Pure Dental Health. To learn more about sedation dentistry and what it can do for your dental fear, look no further than Pure Dental Health. We can help you gain confidence with the dentist again and alleviate some of your fear. You deserve to have a smile that is healthy, beautiful, and that doesn’t cause you immense fear to think about visiting the dentist. Call Pure Dental Health today to take control of your dental health. Do you dread going to the dentist? Does the thought of having dental work such as a root canal fill you with fear and anxiety? It should not. There are now so many good options for both relaxation and pain relief, there is no reason to fear the dentist. If you are having a minor dental procedure such as a filling, local anesthesia may be enough to give you the pain relief you need. Topical anesthetics can be applied to the tissues of the mouth to prevent pain on the surface level. Your dentist may swab you mouth with a topical anesthetic to numb the site before administering injectable anesthetics. Injectable local anesthetics are used to prevent pain in a specific area of your mouth while you are receiving dental treatment. They work by numbing the tissues in your mouth and blocking the nerves that sense and transmit pain. If you are having a more complicated dental procedure or if you have a dental phobia or a severe gag reflex, you may need or want to have more than just local anesthesia. In this case, Nitrous Oxide (laughing gas) or oral sedatives may be used along with local anesthetics to keep you relaxed and comfortable while you are receiving dental treatment. Your dentist can use these medications to induce minimal or moderate sedation where you achieve a relaxed state but can still respond to speech or touch. It is important to talk with your dentist about your fears and anxiety level as well as your medical history before you receive dental treatment. This will help you and your dentist to decide the level of pain relief/sedation that is most appropriate for you.